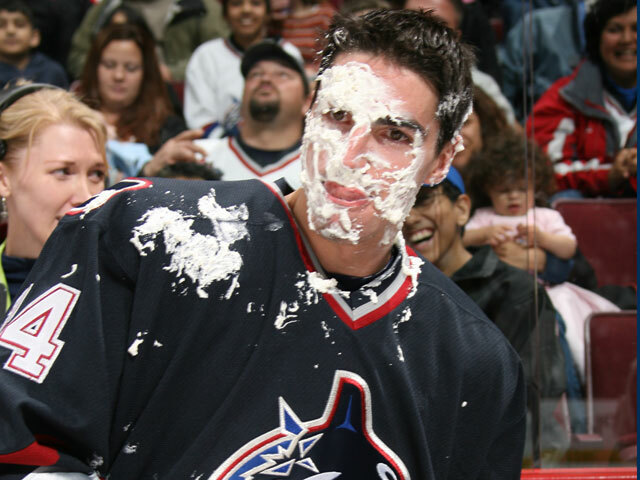 Alex Burrows has never been a stranger to trash talk, so it’s safe to say he’s heard his fair share of even the most unusual in-game banter. Even then, it’s usually the remarks from his own teammates that leave him shaking his head, specifically the ones teasing him about his resemblance to Hollywood celebrity Tom Cruise. But while Alex’s similarities to the 45-year old actor probably don’t extend beyond facial features, Burrows might find a comparable persona in the fictional character Ethan Hunt, portrayed by Cruise in the Mission Impossible films. In the movies, Hunt is a secret agent working for an organization aptly named the Impossible Missions Force. His work is entirely focused on the here-and-now – where one’s usefulness is determined by present effectiveness, not by past success. And though Burrows can’t say he’s ever dabbled in undercover espionage, he certainly knows what it’s like to work in a business with a short memory, something he was reminded of coming into training camp this past season. 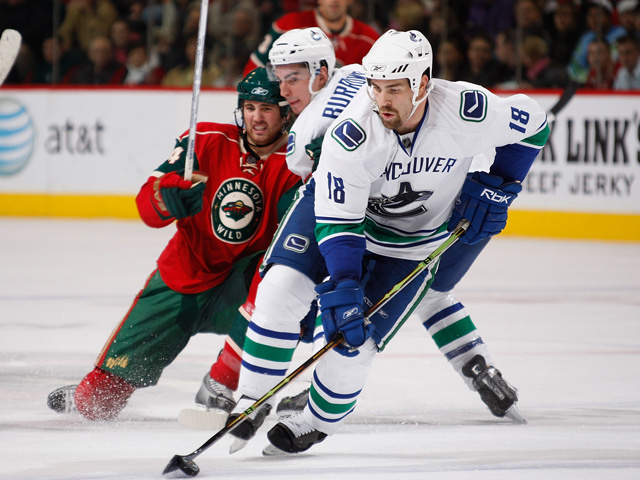 “I knew that I had to be ready and come in good shape and that there would be no guarantees for me,” said the 26-year old Burrows. On the surface those comments might seem out of place. It’s what one might expect from a raw rookie or a career minor leaguer, but not from a third-year veteran with two years left on a three-year contract. Yet despite suiting up for 81 games last season plus another 11 in the playoffs, Burrows knew any complacency on his part might not just cost him a spot in the opening night lineup, but could send him packing back to the American Hockey League. 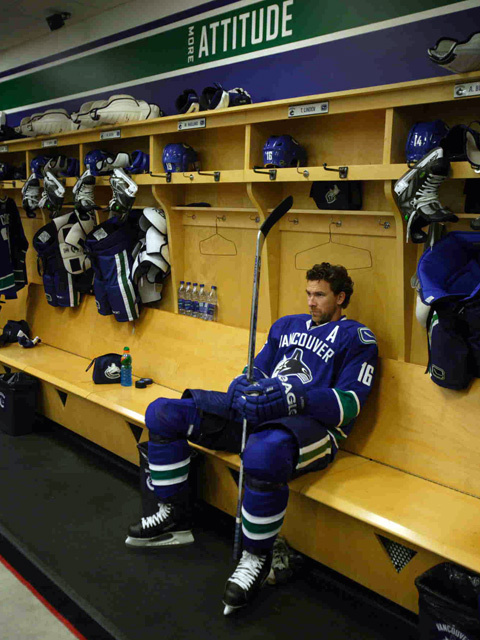 Being the underdog is nothing new for Burrows. Growing up the middle child between two sisters, Sarah and Catherine, the diminutive young Alex – who was all of 4’9” and 95 lbs. 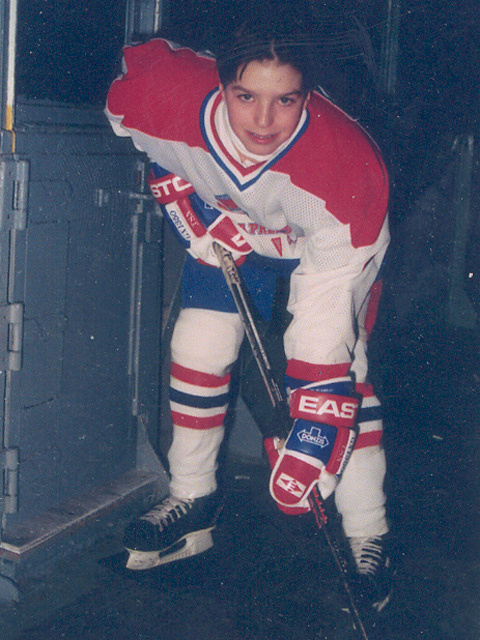 when he played Peewee hockey – has had to work for everything he’s gotten in hockey. Despite being told he was too small to play professionally, being overlooked in the NHL draft and having to fight to get noticed in the ECHL and again in the AHL, Burrows always managed to somehow exceed expectations. Coming into training camp this season however, his challenge wasn’t about exceeding expectations but rather living up to them. With that in mind, Burrows’ goal in the off-season was to do whatever it took to give him a head start to the 82-game grind. 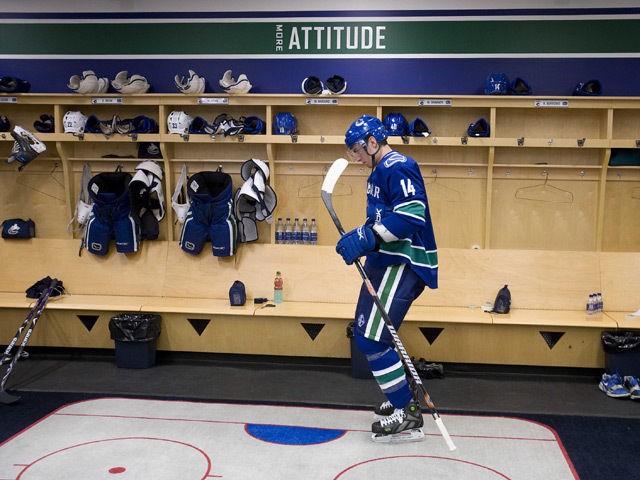 Although much was made about his off-season regimen, which included a comprehensive workout and nutritional plan that saw him bulk up to 194 lbs., Burrows believes it’s his mental awareness that has made the biggest difference in his play. 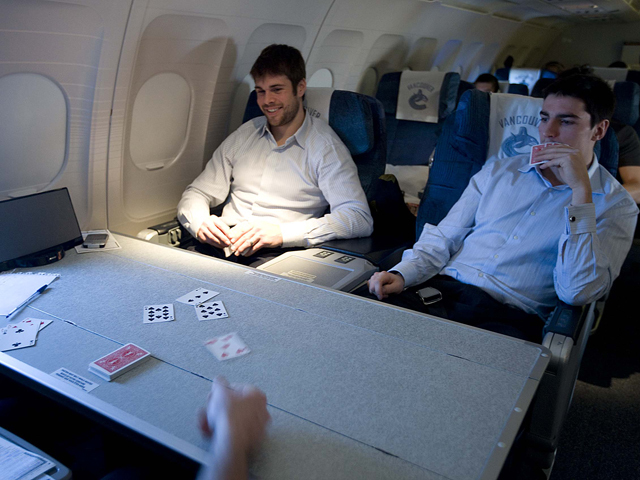 “I think [I’m better at] reading the plays, knowing a little bit more about the League and knowing a little bit more about the players, knowing about the key situations on the ice and what to do,” assessed Burrows who, like his fictional secret agent counterpart, has taken to meticulously working on all the finer points of his game. “Back then I didn’t really notice all of those little things – little details like puck placements and key face-offs or good stick positioning and shooting lanes. 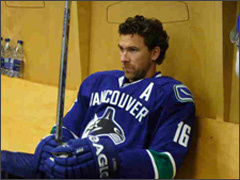 He also credits Trevor Linden for being a big influence on the smarter Alex Burrows. The veteran Linden, who has been locker stall neighbours with Alex since his arrival, would often discuss strategy with and impart pearls of wisdom on the younger Burrows. Trevor, likewise, counts himself as one of Alex’s biggest fans after seeing what the hard-nosed winger has brought to the team in just over two seasons. 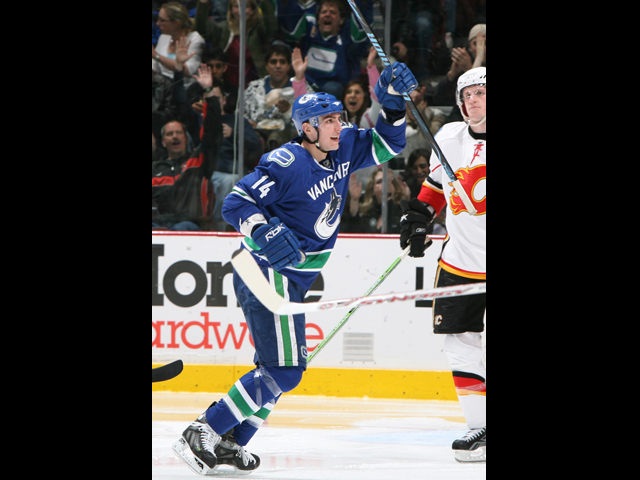 But even with a more cerebral approach to the game and with the constant pressure to perform, the affable Burrows admits he’s still just as enthusiastic before every game as he was his very first. 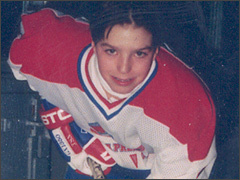 The only difference is now he doesn’t let his eagerness cloud his judgment on the ice. Clearly a more confident competitor on the ice, the feisty forward has even demonstrated a flare for the highlight-reel scoring a couple of breakaway beauties early in the 07-08 campaign. And while he likely won’t ever win a scoring title, Burrows knows his role is to do what it takes to help the team succeed – whether that means killing penalties or getting under his opponent’s skin – and he’s just fine with that.